Good afternoon, everyone! I am writing to you as I await the arrival of Hurricane Irene. The media and social hype for the storm is quite entertaining. By the time it gets to the New York City area I suspect that it will be little more than a tropical storm. So why did people go buy gallons of milk and dozens of eggs? I do not know. And do they not realize that these eggs and milk will go bad if and when we lose electricity? Silly, silly people. And evidently people don’t have a few extra rolls of toilet paper and batteries at home either, since everyone seemed to suddenly need them. Either I’m uber-prepared by the fact that I have batteries sitting around, or they’re just crazy. I’m leaning towards the probability that they’re crazy…. I walk into boss’ office. Bossman: You’re going to hell. Confused look on my face. Pregnant pause. Because that fudge is SINFUL. Ok bossman, you’re a riot. Glad you liked it…I think. In a double boiler, combine sweetened condensed milk, vanilla, chocolate, Nutella, and butter. Stir until chocolate and butter have melted and are smooth, about 5-7 minutes. Refrigerate until firm, at least 2 hours. This entry was posted in Candy Jumbles and tagged chocolate, fudge, nutella, sea salt. Bookmark the permalink. YUM! Why didn’t you give me the heads up about this? Now I want some and I don’t have the necessary ingredients- and I am NOT going to the grocery store with the crazies today. I hope you are able to make these once the stores & shoppers return to sanity! I didn’t feel the earthquake either, and Irene is gone. 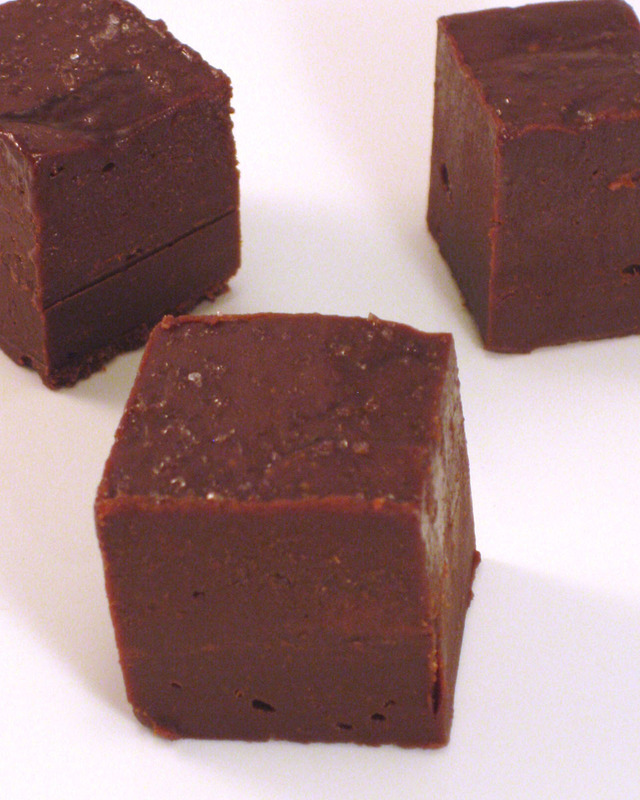 I would have been very happy to watch the wind and rain blow sideways while nibbling on this fudge. Bookmarking.